The people of Okinawa live longer and healthier lives than people anywhere else in the world. 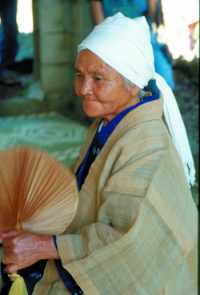 Large numbers of Okinawans have remained strong and active into their seventies, eighties, nineties and even as centenarians. They have amazingly low occurrences of heart disease, cancer and strokes. The phenomenon has been studied for the last 25 years in the Okinawan Centenarian study and this year the results were summarized and published in English for the first time. The study’s findings give an insight into why the Okinawans live so long and possible reasons why they seem to suffer so much less than other peoples from the common diseases of aging. 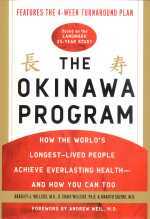 The book “The Okinawa Program,” explains the research but also provides advice on how it is possible to increase your own longevity by taking some pointers from these super-fit grandparents and great-grandparents. The Okinawa Program is already a best-seller in the States and people all over the world are now looking to Okinawa to show them the elixir of everlasting health. It is possible that the Okinawan people have a natural genetic predisposition to be more resistant to certain diseases but the study shows that more important than the genetics of a person is the environment in which they are in. It’s not the genes that you’ve got that matter it’s what you do with them. Unfortunately the key to the long healthy life of Okinawans cannot be found from just one magic vitamin that can be supplemented in pill form. However, there are several lifestyle factors that improve a person’s overall health and chance of longevity that include diet, exercise, and a stress-reducing psycho-spiritual outlook on life. The traditional diet in Okinawa has a large amount of soy and vegetables and is low in meat and accompanying saturated fats. This means that you are more likely to see a centenarian eating goya and tofu than a cheeseburger and fries. Large amounts of vegetables and whole grains bulk out the diet and provide essential nutrients and good fats (poly and monounsaturated ) while lower amounts of the wrong kinds of fats (saturated and trans) mean that their arteries are not getting clogged up. This may therefore be one of the main reasons that, on average, Okinawans have 80% less heart attacks than Americans. While many western pensioners don’t do anything more physical than switch channels or fill in the crosswords Okinawans remain active. Walking, gardening, dance and martial arts all help maintain their cardiovascular systems while also keeping up muscle and bone strength. The slower pace of life in Okinawa, prayer, meditation and spiritual beliefs (particularly among older women) provide greater peace of mind. The book describes the link between spiritual well-being and physical health. If a person is happy and content then their immune system will be stronger and they are less likely to become sick. Conversely a person who is depressed is more likely to become sick and less able to recover. 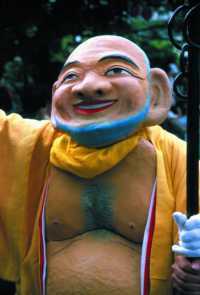 Okinawa is described as “The Real Shangri-La,” to differentiate it from other so-called “geriatric utopias” (ie. Abkhasia, Hunza, Vilcabamba) where claims to extreme longevity have turned out to be groundless. But all is not well in paradise. Okinawan lifestyles are changing and the statistics for mortality and morbidity are following. A more western diet high in saturated fat combined with less physical activity, and more smoking and drinking means that heart disease, lung cancer, diabetes and other lifestyle related diseases are on the rise and can be seen at increasingly younger ages. This coupled with a high suicide rate in young and middle-aged males means that Okinawa’s number one ranking in the longevity charts is slipping. The Okinawa Program however aims to change unhealthy lifestyle practices in both Okinawa and western societies by providing several self-help chapters that give advice from diet to meditation and even becoming and staying optimistic. Now that I’ve finished reading the book, I’m going to relax, make myself some goya champuru and have a think about how I’m going to spend the next hundred years of my life.